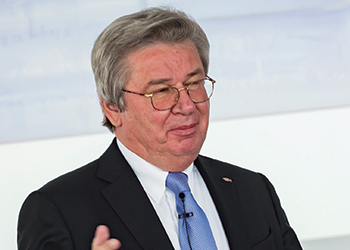 Prof Klaus Fischer, CEO and owner. Germany-based fischer, a market leader in fixing technology with its wide product range of comprehensive fixing solutions and extensive individual customer service, has become a much sought-after name for national and international clients in the Arabian Peninsula. The UAE subsidiary of the technological giant is just as involved in the creation of a large infrastructure facility for itself as it is in the construction of numerous large-scale projects. fischer’s innovative products and solutions have made an indelible mark such that the company is now well positioned to take on the Middle East market, says Prof Klaus Fischer, CEO and owner of the family-owned firm. An increase in turnover is also expected in the coming years, he told a group of visiting journalists from the Middle East and China. Despite the current low oil prices, the Arabian Peninsula remains for the company an economically prosperous region over the long term. Tourism development and large-scale events such as the 2022 Fifa World Cup in Qatar, as well as industrial growth and urbanisation will see construction activity continue unabated for many more years, he notes. Outstanding projects such as Dubai’s Burj Khalifa, the tallest building in the world, King Abdullah Sports City in Saudi Arabia, Doha’s metro, the Etihad Towers in Abu Dhabi and The Avenues Mall in Kuwait have all one thing in common – the diversity of fischer’s fixing systems that went into their construction. The international fixing specialist is investing further in the Arabian Peninsula. In December 2016, fischer UAE will open its new local administrative centre in Dubai, where a fischer Akademie will also be established. A large team consisting of employees from 13 different nations will commence work on challenging projects in the Arabian Peninsula and beyond in order to achieve the company’s expansion goals even as it sees numerous growth opportunities in the region over the coming years, he says. Be they plastic dowels, steel anchors or chemical fixings – there is significant demand for professional and safe anchoring. The fischer subsidiary in Dubai, founded in 2006, distributes products and also offers its customers a total solution besides technical advice with its team of highly qualified engineers. Seismic calculations are part of this, too. The comprehensive services on offer include on-site seminars and training, pull-out tests and direct delivery of products to the construction site, says Fischer, who was honoured in June with the Global DIY-Lifetime Award for his life’s work. Since its founding, the UAE subsidiary has continuously increased its turnover and opened distribution offices in the neighbouring countries, says Jayanta Mukherjee, managing director, fischer systems, Middle East. “We are now represented in Qatar, Saudi Arabia, Bahrain, Kuwait and Oman. The aim is to continue to contribute to the success of the family business from the northern Black Forest with double-digit growth. Fischer UAE will add more facilities of its own in addition to constructing industrial facilities. The company hopes to further expand its distribution in the future in order to win new client groups,” he says. The UAE subsidiary does not restrict its activities to construction, however. Social commitment is also high on the agenda, which is why the team at fischer Dubai is involved with the Senses Residential Care Home in Dubai, a facility that offers safety, shelter and care to children whose families are unable to afford it, says Mukherjee. SX expansion plug and (below) FAZ II bolt anchors. fischer UAE will continue to achieve its growth goals through customer focus, continuous improvement of all processes and with highly skilled employees, he says. A qualified team of engineers and technicians provide on-site training in the newest developments in fixing technology to users, planners and architects. Experts in the field of research from the German headquarters are regularly on site to analyse the demands of the Arab market and to incorporate these into current development projects. Giving a list of high-profile projects where fischer products were used, Mukherjee says for The Louvre museum on Saadiyat Island, Abu Dhabi, Fischer Abu Dhabi has supplied EA N drop-in anchors and FAZ II bolt anchors for hangers and supports, mainly for all suspended ceilings and MEP (mechanical, electrical and plumbing) services. Since all the services are coming from a tunnel to the museum, fischer’s engineering team in the UAE did the supports’ design calculations with FAZ II bolt anchors, FHB II high-bond system and FUS mounting rail channels with accessories and fixed points with fixpoint clamps and saddles FFPK and FFPS. At the Blue Waters Island, Dubai Marina, the fischer products used were FIS EM injection mortars and direct fastening PAT, while for Meydan – Sheikh Mohammed Bin Zayed City, Dubai, the company supplied SaMontec installation system, PAT nails and tools, SX expansion plugs with EA II stainless steel screws. At the Al Raha Beach, Abu Dhabi, the fischer products utilised were EA N drop-in anchors, FRSR pipe clamps and TRS threaded rods. Moving on to Saudi Arabia, at the Haram Expansion Project Mattaf in Makkah, fischer supplied the complete fischer SaMontec system with FIS V chemical anchor and at the King Abdullah Project (KAP 4), Riyadh, fischer’s anchor system including mechanical, chemical and frame fixing anchors were used. In Qatar, for the new port project, fischer supplied FIS V, bolt anchors FBN II, FIS EM and the fischer SaMontec system; while for the Mall of Qatar, its FIS V, FBN II, FIS EM and the full SaMontec installation system were supplied. In Oman, for the Oman Convention and Exhibition Centre, fischer supplied FUS channel mounting rails, FUF channel connectors, FAF and FFF mounting brackets and SaMontec installation system. With about a 75 per cent share of the sales, fixing systems is the biggest division in the fischer group of companies. The specialist for safe and economical fixing and connecting elements for the construction industry has become one of the market leaders over the last six decades, says Alexander Bässler, fischer’s regional managing director – Asia and Middle East. Its spectrum of products ranges from chemical systems across steel anchors right through to plastic plugs. 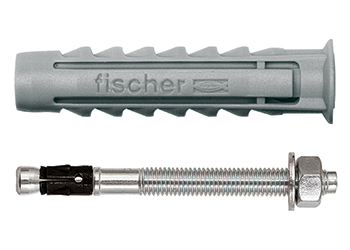 Be they heavy-duty anchors used in the construction of tunnels, bridges or power generating plants for professionals, or wall and cavity plugs for do-it-yourselfers, fischer has a fitting solution for every fixing issue, he says. A training workshop at fischer. The company’s product portfolio covers more than 14,000 articles. 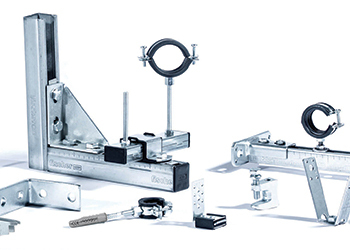 These include inter alia dynamic anchors for earthquake zones or for severely stressed buildings, fire protection fixings, innovative facade systems and the first glass fitting where the anchor does not pierce the glass. 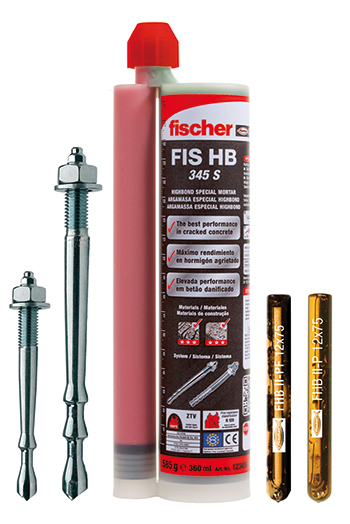 A wide range of screws, special products for composite thermal insulation systems, HVAC (heating, ventilation and air-conditioning) installations, adhesives, sealants, foams or drill bits show the high variety of fischer fixing systems available. 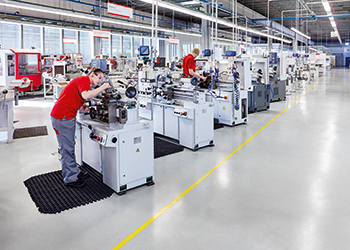 fischer develops and makes its own products, mainly in Germany. The company gives its customers individual support with a wide range of different services and methods for making installations easier and safer, besides free construction and design software, plus technical seminars at the fischer Akademie. Some 14.5 million fixing products are sold every day, 10,000 every minute. Also, fischer holds the highest number of construction approval certificates in the whole of Europe, he adds.